Jackson is the largest city in Mississippi. Surrounded by prosperous white suburbs, it is more than 80 percent Black and overwhelmingly working-class. 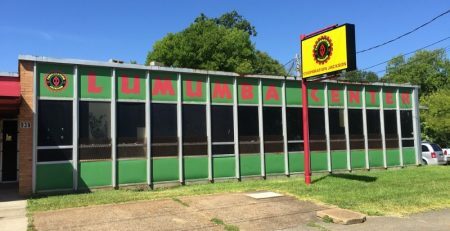 “If you are making $10 an hour here you are doing damn good,” says Kali Akuno, who for 20 years has been a driving force in Cooperation Jackson, a community organizing hub intent on radically changing business as usual in Mississippi’s capital city and creating a model for local movements in the United States and around the world. 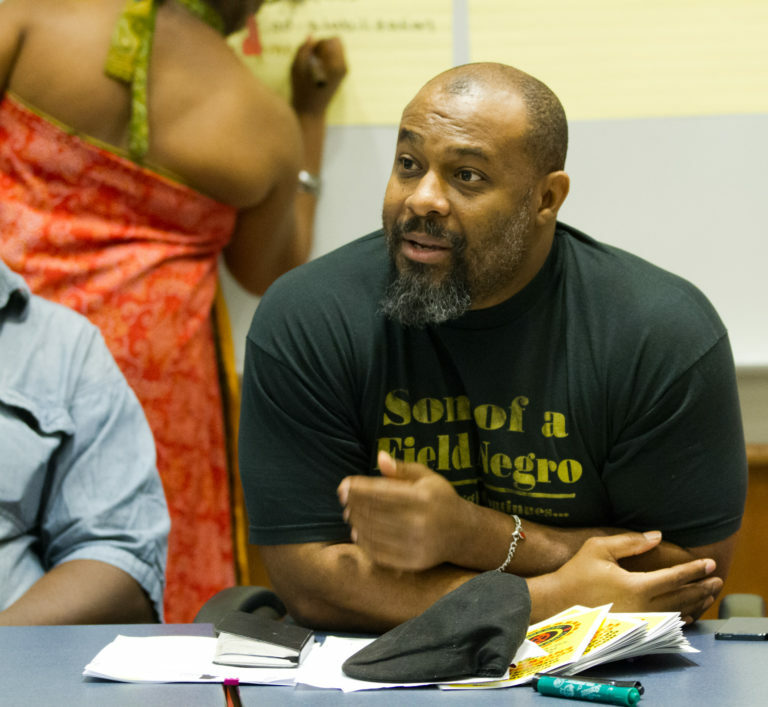 The movement for Black self-determination that Akuno helps to lead has roots in Mississippi that date back to the 1970s. 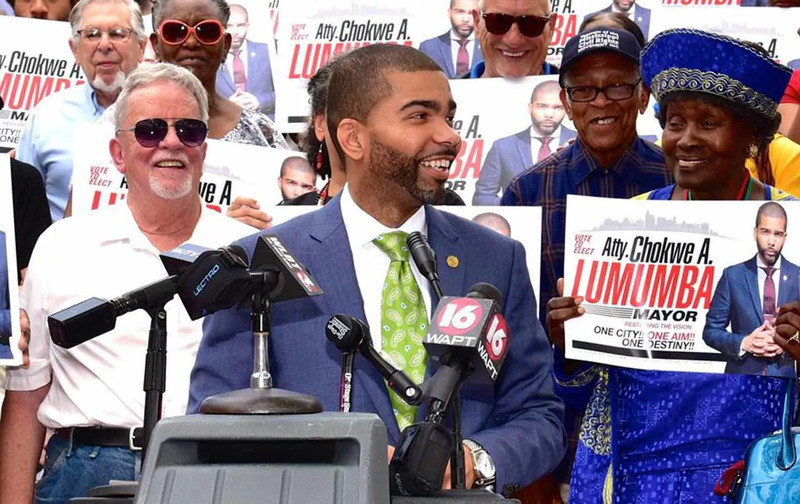 After decades of base building work by the Malcolm X Grassroots Movement (MXGM) and others, radical lawyer Chokwe Lumumba was elected mayor of Jackson in 2013 only to die less than eight months into his first term in office. 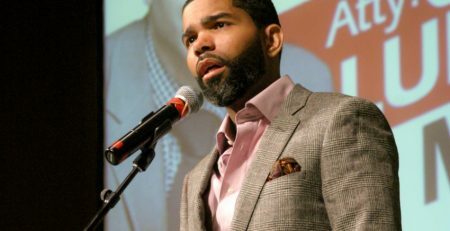 In May, his son Chokwe Antar Lumumba won the Democratic primary on a platform of food sovereignty, zero waste and creating a solidarity economy. He is all but certain to be the next mayor of Jackson. When Antar takes office, he will face a hostile white business elite and a Republican-controlled state legislature that will try to stymie him at every turn. Akuno is one of Antar’s closest advisors. He recently spoke with The Indypendent about the challenges that lie ahead and the Jackson movement’s enduring source of strength. Marisa Anne Day: What do you hope to achieve? Kali Akuno: The construction of economic democracy from the ground up, the transformation of the economy and the social relationships that frame what makes us human. That is not something we can do alone. We hope to inspire and offer a model to others who want to pick this up. We want to continue drawing from eclectic sources of inspiration — the Mondragon worker cooperatives in Spain, the Zapatistas, cooperatives in the South going back 200 years in the Black community, [cooperative] projects in the early days of Tanzania, Algeria, Guyana. The first step for Cooperation Jackson is to build a vibrant social and solidarity economy in Jackson that can form a stepping-stone to economic democracy. What is the significance of this victory for organizing in the United States? It demonstrates that the left can win in the United States, win electoral victories, make gains in a struggle to control the means of production. It has a broader significance with the election of Donald Trump. Our victory in Jackson points to a way forward. Take some heart from it, all is not doom and gloom. We can organize ourselves to fight back and counter the moves of these reactionary forces. If we do our work right we can start dictating the social momentum and rearticulate some of the fundamental norms of society. What the country is facing with this neo-Confederate neo-fascist regime on a federal level, we have been living with here in Mississippi for quite some time. Black, Indigenous, Latino communities have been figuring out ways to not only survive but to push back. Our electoral victory highlights what is possible when you resist these forces — and what type of work it takes: long term, patient, strategic base-building work, which we have been concentrating on here for about 40 years. A lot of movements talk about empowering “the people” but after they win elections fail to come through. How will you resist that? Our beliefs alone are not enough to safeguard us against right drift and institutionalization. An effective counterweight is having political organization with multiple ideologies within it. Having that diversity was a saving grace [with Chokwe Lumumba] because you had folks, especially from anarchist tendencies, who were suspicious about going into government. A lively debate and struggle was one safeguard. The Jackson People’s Assembly is the dominant accountability mechanism. Direct engagement is where the assembly has its strength and can apply pressure on Chokwe Antar or anybody else in that position. The People’s Assembly was built to be a dual power institution, with the ability to shape society on its own without the assistance of government. How do you maintain buy-in beyond ideological divides? We don’t recruit or engage with folks on the basis of “you have to believe what I believe in order to struggle and work with me.” That takes a backseat to “I’m here because an injury has been inflicted upon you or upon our community and let’s figure out a collective way that we can address http://buylevitra.net this issue.” People find out what you believe through your practice first and foremost, and then your statement of why you are engaged in the struggle afterward. In Mississippi, the out-and-out nature of white supremacy helps to keep a focus in the community. I might have differences with you about this belief or that strategy but in the face of having to confront people who are visibly in the Klan, it gives people a clear orientation: We are in a struggle and my contributions to it are critical to my own survival. We work on that common ground and over time we have won a lot of people over who wouldn’t necessarily use that rhetoric but would say, I am for democracy in the workplace. You see a gradual movement and a broader adoption of these ideas and principles. What is the situation in Jackson you are stepping into? What forces in Mississippi are aligned against you? The primary force of opposition against us is the Greater Jackson Chamber of Commerce. The Chamber is dominated by white businessmen, almost none of whom live in Jackson proper. They live in the white suburbs that were constructed to accommodate white flight. Jackson is still a city where a large portion of its businesses remain in the hands of a small white minority elite. Jackson is over 80 percent Black. Most of that, overwhelmingly, is Black working class. That includes sectors where the real unemployment rate is closer to 50 percent of the adult population. Wages are extremely low; if you are making $10 an hour here you are doing damn good. That would be damn near a Black middle-class wage here in Jackson. The Black community, by its numbers, can put people in office but their ability to govern can be constrained because the economic base of the city is controlled elsewhere. One of the threats is if you elect Chokwe Antar, all these white-owned businesses are going to leave town. What that does is shrink the tax base, the revenues to operate. That is pointing a gun at the city and saying you have to go this way for the economy not to collapse. For the community to consistently vote in a way that says “Yeah, I know that gun is to my head and I’m going to vote this way anyway” says a lot. The Chamber is not making idle threats. They have concrete plans to gentrify the city, to displace the Black working class, because if they can change the population dynamics they can eliminate the possibility of a radical like Chokwe Antar from being elected. How do cooperative networks provide counterweight against those forces? We will construct cooperative enterprises, from food processing to non-carbon based distribution, bikes and electric vehicles, to lessen the carbon footprint of the city. Going to zero emissions and zero waste will accomplish several goals at once: sustainability, creating jobs, a better quality of life and ultimately more self-determination and self-reliance within the community. We are creating an integrated system, bottom-up efforts, the support of an administration we control and a policy framework to give what’s getting done below more teeth.The base is starting with what is available to us, land, addressing a concrete need, food, and from there building out the solidarity economy. How can people engage with what you are doing from outside of Jackson? Doing this work takes resources. Our sustainer network annually covers one-fourth of the cost. Friends of Cooperation Jackson chapters build relationships of solidarity. The most concrete way that folks can help is to build Cooperation New Yorks, like-minded organizations. Organizing in your own community will help us more than anything else.